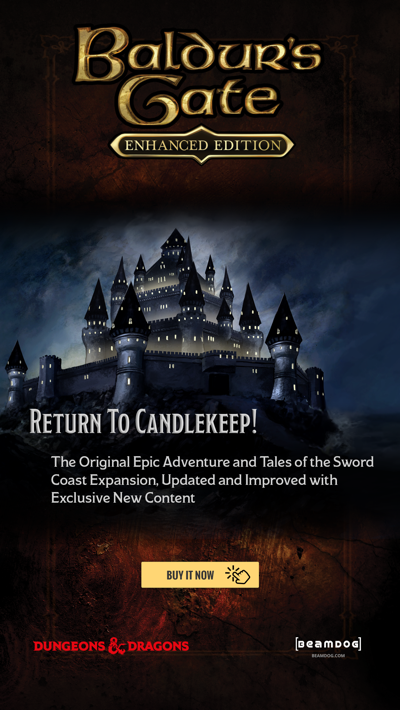 The 2.5 update beta has been live all weekend, and from the sounds of it, the general stability and multiplayer of Baldur’s Gate: Enhanced Edition, Baldur’s Gate II: Enhanced Edition, and Icewind Dale: Enhanced Edition have been significantly improved! If this is the first you’ve heard of the 2.5 update beta, head on over here to find out more. We’ve written up a quick survey to find out what your experiences have been with the 2.5 update beta. Please include any information you have so far about any crashes and other issues you may have encountered during the beta. We'll be accepting survey entries until Jan. 15. 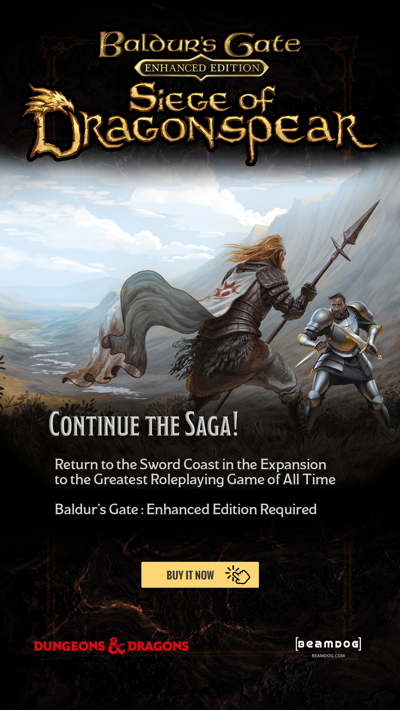 Beamdog forum users, make sure to include the email corresponding to your forum account. We’ll be awarding a forum badge for completing the survey. Thank you to everyone who has tried the beta so far! We’ll be continuing the 2.5 update beta over the holidays, so there’s lots of time to let us know about your experience! I think i found a bug in the combat against Yxunomei. It doesn`t matter what you tell her, the little strange girl never becomes Yxunomei, she becomes invisible, and there is no way you can damage her or kill her, once she become invisible, she is inmune, the characters are hitting to the air in the entire room, just doing nothing, while she stays in the top of the room without attacking the characters.